Hongdae is one of the most popular neighborhoods with our BnBHero Guests, so we thought we could introduce some exciting and interesting things to do in this neighborhood! 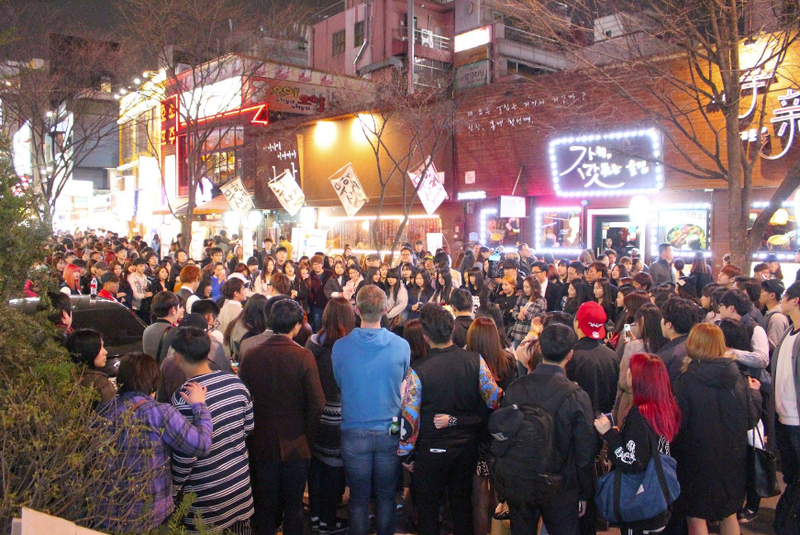 Why is Hongdae so special? Hongdae (also known as Hongik University) is very famous for it’s youthful and artistic atmosphere. Hongik University is a very well respected university in South Korea, also famous for their arts and music programs. This has led to the rise of a unique atmosphere with an eclectic mix of galleries, shops, cafes and clubs. There are many unique places here, as well as great opportunities to see street performances! 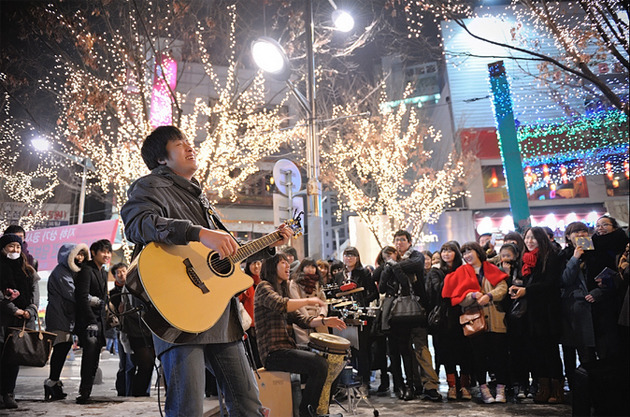 Many young Korean stars gained experience singing on the streets of Hongdae before striking it big! Hongdae has many small narrow alleyways and stores and pop up and disappear every few months, a wide range of eateries and drinkeries! While there are many guides out there on what to do in Hongdae, the top places to visit and the must visit experiences, we at BnBHero wanted to introduce our own unique recommendations! What is there to do in Hongdae? We compiled an amazing google map that you can use for inspiration and integrate it into your plans! All of the places mentioned in the google map as its own direct link to a specific blog entry highlighting important details, so be sure to check it out! Where is there to stay in Hongdae? Decided that Hongae is the best neighborhood for you, excited by the things to do in Seoul’s hottest university district and decided that a full 24 hours with a place to sleep is the perfect idea of a vacation? Check out our room listings in Hongdae! There is a wide variety of places to stay, ranging from small rooms, guest houses where you can also meet likeminded people, and entire studio apartments! Check out our BnBHero Listings for Hongdae Here! This entry was posted in Spot, Tour. Bookmark the permalink.